It was becoming clear as the Gallery Rifle (and Pistol) discipline was progressing and expanding throughout the 2000s that the natural competitive elements were going to extend to national and international shooting. By the mid 2000s international shooting was starting to gain traction with informal competitions being held against Germany and Ireland. 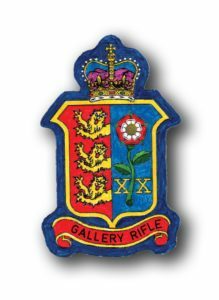 This culminated in the formation of the European Gallery Rifle Federation (EGRF) later to become the International Gallery Rifle Federation (IGRF) when South Africa and Australia joined. Within the confines of the UK it was clear via meetings such as the Phoenix meeting at the beginning of the Summer and Gallery Rifle National Championships at the end of the Summer that there were enough competitors from three of the four home nations to seriously think about a Home Countries Championship. This international match is now held annually between England, Wales, Scotland and Northern Ireland. Results are published annually in the Yearbooks which can be found under the Members menu item. Results for the main 2018 National Match and the Matches held at Haverfordwest in Wales can be found below.